Inspired by projects we'd seen for sale by artists in little markets about town, my wife and I decided to try out different ways of displaying photos. So, this week, I made a few things. This one is an 8x10 on a piece of wood. I used the process here, with decent results, to show off the front of our house and a picture taken the day we moved in. I'd say the ironing takes longer than 2 minutes, and the paper has to be peeled away slowly. 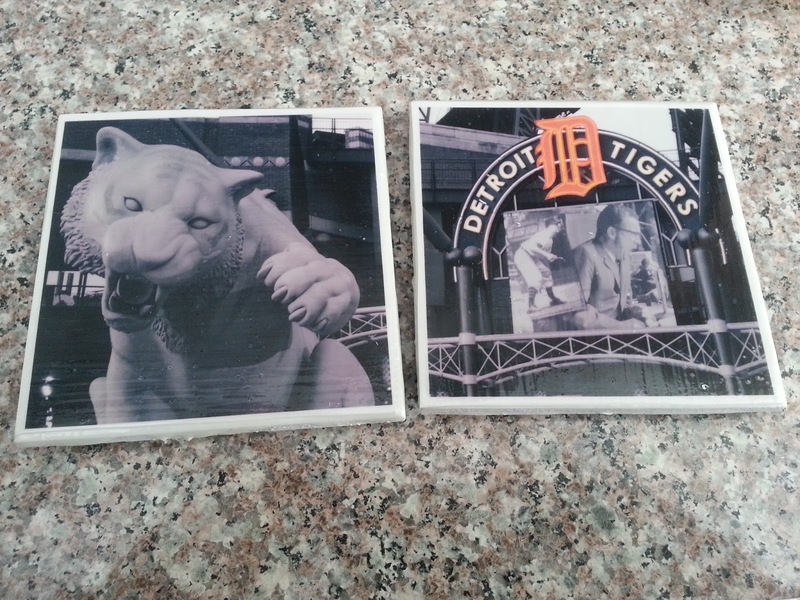 These are coasters, made out of a common 4x4 tile. The article has some easy to follow instructions, but I found using photo paper (glossy) instead of just regular paper was the way to go. Anyway, read about it here if you want to make your own. 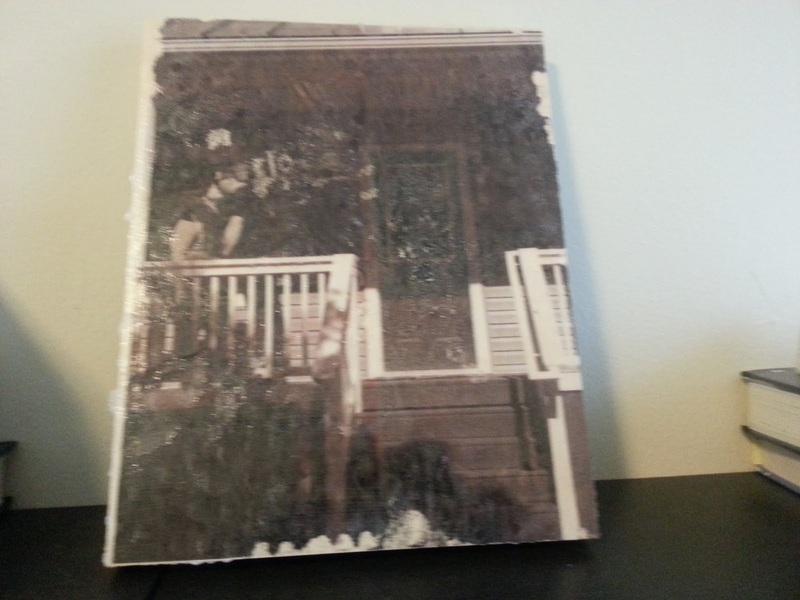 Finally, the thing I wanted to do the whole time -- transfer color photos onto wood with full visibility. It went okay -- the picture of my wife's childhood home came out great. 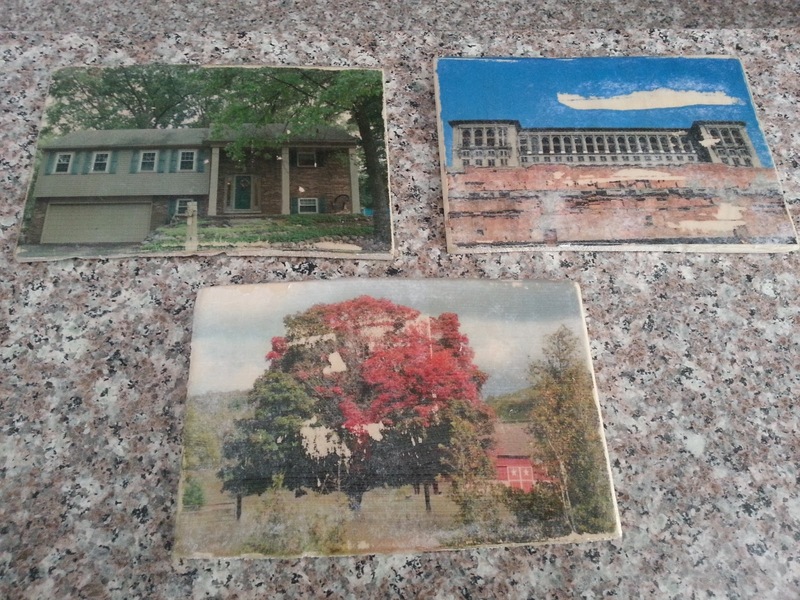 The others were much more difficult since rubbing the paper fibers is a delicate process, causing a massive gouge in the shot of Michigan Central Station. For the tree, well, it honestly looks better that way. Laser printing photos for this is a must, but I did it at Staples (3 on one page, $0.99) and made sure it was on a light stock. Anyway, the colorfully-written how-to guided me quite well. I will probably use all of these methods again, especially the last one. I'll keep you updated on anything else I end up doing with the printing process. The North American International Auto Show, or NAIAS, has been at Cobo Hall in Detroit all week. On the first public day, Saturday the 19th, I went down with my father-in-law, brother-in-law, and of course my wife (in law?). It was a superb time, and I really like how loose camera restrictions have gotten. I'll be submitting one of these for the contest at clickondetroit.com, but here are my finalists. Detail of the Ford Shelby Mustang. The Acura NSX, which was unveiled by my Uncle Mike earlier in the week. Lincoln's new crossover, which seeks to bring in a younger crowd, had me pretty convinced. Pretty, but never has been my style. I suppose if they let me drive it, I'd see the appeal. There are lots of better ways to shoot cars if you have control of the lighting, but I just used what was there, and tried to make myself move through the crowd with ease. I don't have a great shot of the new "Stingray" Corvette, because I have to crop out some bystandards and haven't done any post-processing on the car album yet. Anyway, that's my trip to the auto show. You really should go. Trying something new for the new year. I've never tried to combine several photos together before, let alone do it with people. About 45 minutes ago I decided to try it out, so I set up the tripod and gave it a whirl. 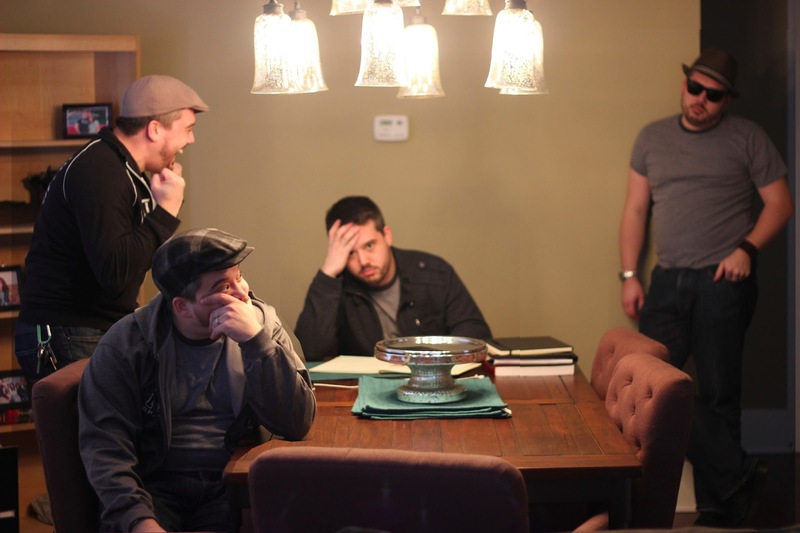 Here I am, frustrated with myself in varying degrees of focus, underneath our awesome chandelier. I don't know if this is something I will do more often, but I did kind of like it -- I'll make sure not to rush into it next time so that I don't have as many subjects out of focus. Anyway, happy 2013.